I love potatoes. 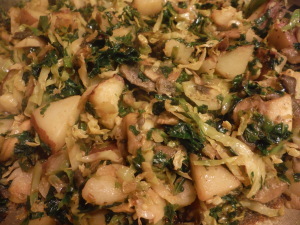 And brussels sprouts. I really love pretty much all foods. 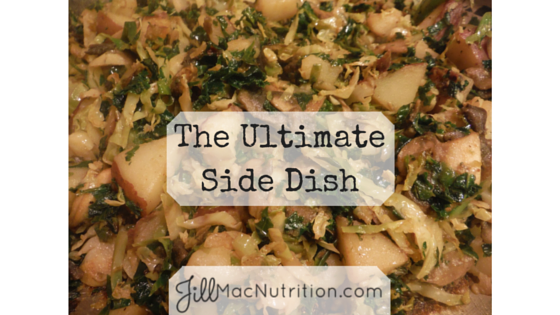 This side dish combines starch and veggies to make what I like to call The Ultimate Side Dish. 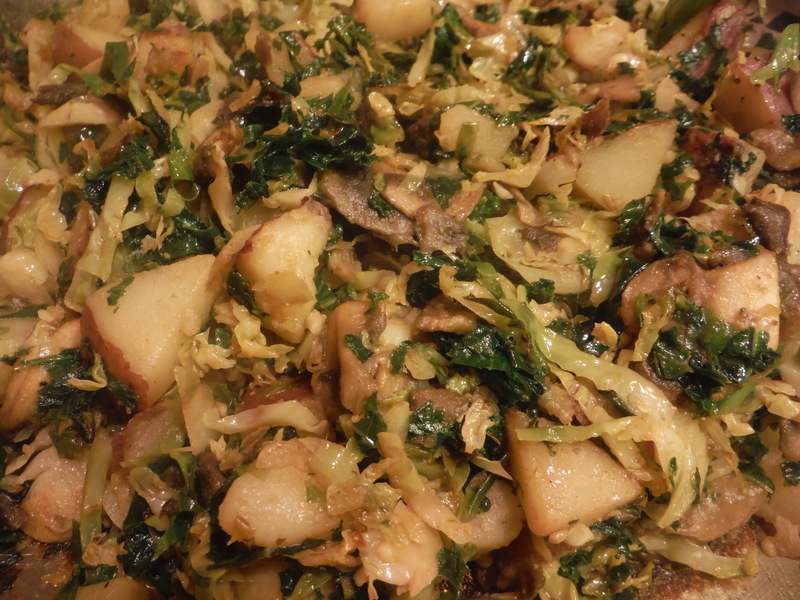 This will go with anything and is even better with chopped bacon mixed in. Use a food processor to do your chopping for you and save on time. 1. Heat up a large skillet over medium/high heat. 10. Turn heat down to low and cook to desired level of doneness. 11. If using the bacon add in and mix everything together.